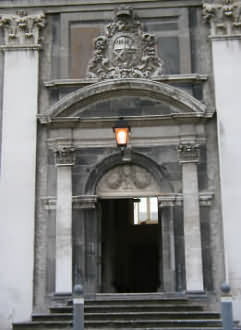 The Royal Hospital is located 2km from Dublin city center, on the South Circular Road at Kilmainham. 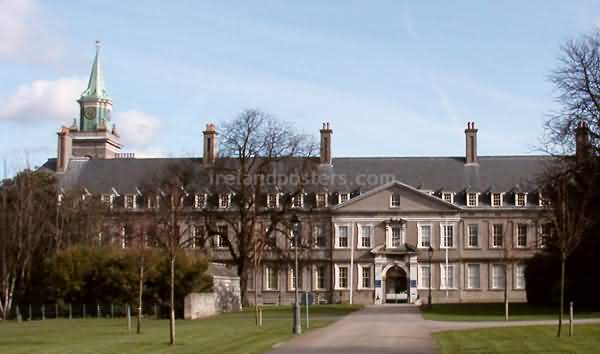 The building was founded by the first Duke of Ormond as a rest home for infirm & maimed officers and soldiers of the army of Ireland in 1680. Its construction was completed in 1683 & incorporated by Royal Charter of King Charles the second on the 19th Feb. 1684. Based on designs by Sir Christopher Wren (1632-1723), and influenced by Les Invalides in Paris, the architect was Sir William Robinson. He was appointed Surveyor-General by Lord Berkley in 1670. 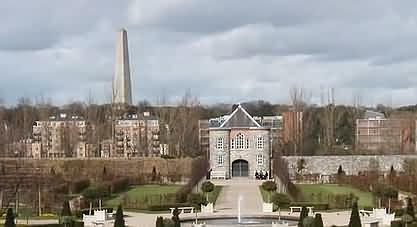 At the time of it's construction the Hospital Grounds were part of the nearby Phoenix Park. View of Royal Hospital building. Original Dublin photographs © irelandposters, all rights reserved. The grounds of the Royal Hospital comprise 48 acres & the gardens were set out in the early 18th century. 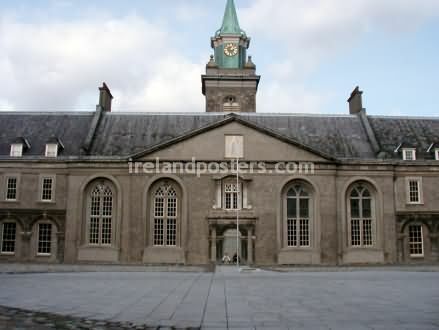 The Royal Hospital Kilmainham Act was passed in 1962 giving the Irish government trusteeship & ownership of the building, its upkeep is maintained by the Office of Public Works. 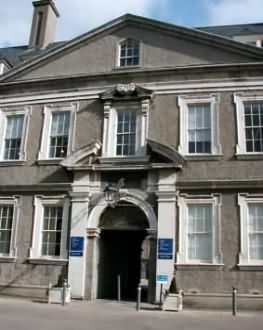 The building currently houses the Irish Museum of Modern Art & is a banqueting venue for corporate events. Images of antique gardens at Kilmainham Royal Hospital. Photographs of Papal Cross & Wellington Monument in Phoenix Park Dublin. View photos of famous city buildings & historic Dublin landmarks. Ireland posters & Irish photo gallery main contents.